Managing a rental property requires near-constant availability and a diverse skill set, such as managing tenants, making repairs, and working with utility companies and contractors. This ends up making asset management quite the time-consuming proposition for the average property owner. Hiring a great New Orleans property management service like Coxe Property Management on the other hand, can make property management mostly a matter of cashing your rental checks. Coxe Property Management and Leasing is your premier boutique New Orleans property management company. With over three decades of experience and the know-how you need to ensure a smoothly running operation, if you own New Orleans property, you need Coxe. One of the biggest complaints is that large real estate conglomerates treat owners as little more than piggy banks; putting their bottomline above property owners. If you ever had a property sit vacant, having to fork over your hard earned cash to your mortgage company instead of your tenant’s, you know exactly why a skilled property manager is so important. 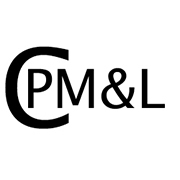 I consent to New Orleans Property Management | Coxe Property Management collecting my details through this form.